Warner Bros. just announced the video game Green Lantern: Rise of the Manhunters, coming next summer in conjunction with the Green Lantern movie! 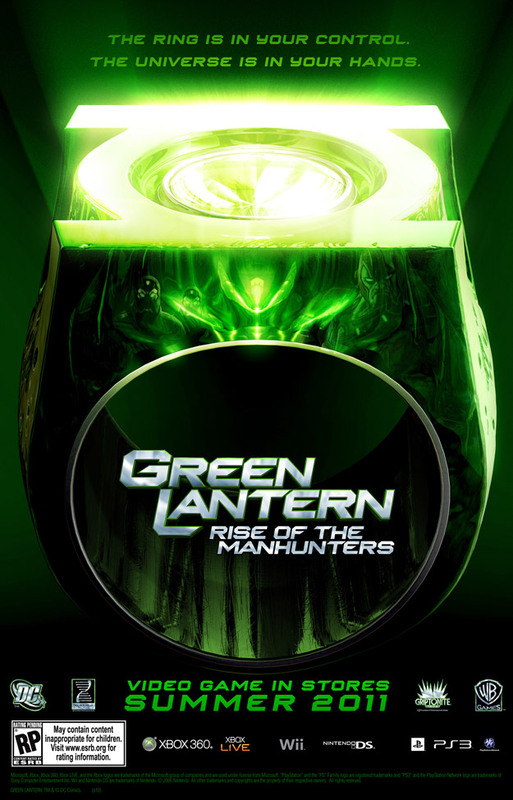 Warner Bros. Interactive Entertainment and DC Entertainment today announced Green Lantern: Rise of the Manhunters, an action-adventure title that will be available in conjunction with Warner Bros. Pictures’ epic superhero feature film Green Lantern scheduled for release Summer 2011. The game will be available for Xbox 360® video game and entertainment system from Microsoft, PlayStation® 3 computer entertainment system, Wii™ and Nintendo DS™ and delivers an immersive experience for GREEN LANTERN fans that the entire family will enjoy.